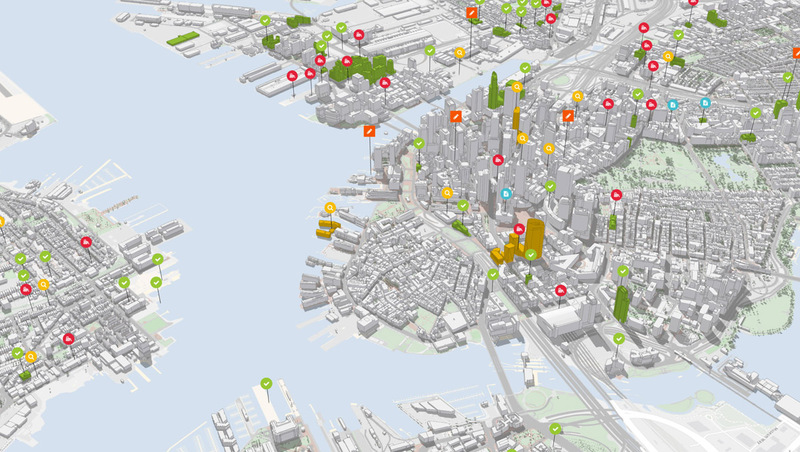 Esri developing new city planning solution called ArcGIS Urban. Redlands, California— Esri , the global leader in location intelligence, today announced it is developing ArcGIS Urban, a solution to give urban planners and designers engaged in government, real estate, and engineering projects better city information so that they know the best places to build and develop. ArcGIS Urban will visualize zoning codes, track project life cycles, and measure the impact of projects after completion. This all-in-one system will be accessible to the professionals who plan and build cities, whether for a city planning department or a real estate development company.The challenges faced by some of the fastest-growing US cities are due largely to a disconnect between developers’ project designs and the regulatory codes defining what can be built and where. In many cities, zoning code text is outdated, cumbersome, and confusing. The difficulty in interpreting and understanding it slows governments, stalls developers, and delays the ability of cities to meet citizens’ needs. ArcGIS Urban will help interpret these codes and make them readily available through an interactive online portal, adding efficiency to planning activities throughout the city.